Global Expatriates: Size, Segmentation and Forecast for the Worldwide Market is a report and interactive ExpatriateBASE™ dataset that provides an overview of the size and segmentation of the global expatriate population. 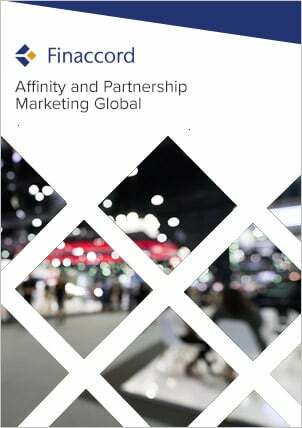 Including data rounded up for the world as a whole, this is based primarily on a detailed analysis for 30 inbound and 25 outbound countries, selected on the basis of their economic importance and significance in the context of the expatriate market. In particular, the research specifies the total number of expatriates resident in the inbound countries and originating from the outbound countries for the years 2013, 2017 and 2021, and segments this further by purpose between five standardised categories, namely individual workers, corporate and other transferees (including diplomatic staff and employees of NGOs as well as employees of international corporations), students, retired expatriates, and 'other' expatriates (defined as non-employed spouses and children). Inbound countries researched (i.e. destination countries for expatriates) are Australia, Bahrain, Belgium, Brazil, Canada, China, France, Germany, Hong Kong, India, Italy, Japan, Kuwait, the Netherlands, Oman, Poland, Portugal, Qatar, Russia, Saudi Arabia, Singapore, South Africa, South Korea, Spain, Sweden, Switzerland, Taiwan, the UAE, the UK and the US. Outbound countries researched (i.e. expatriate countries of origin) are Australia, Belgium, Brazil, Canada, China, France, Germany, Hong Kong, India, Italy, Japan, the Netherlands, Poland, Portugal, Russia, Saudi Arabia, Singapore, South Africa, South Korea, Spain, Sweden, Switzerland, Taiwan, the UK and the US. Furthermore, in addition to the 25 core outbound countries that were researched for each of the 30 inbound countries, the report also establishes the same data for other important country-specific expatriate groups (e.g. the number of Algerian, Indonesian and Mexican expatriates residing, respectively, in France, Hong Kong and the US). develop a strategy for targeting expatriates with the knowledge of how their number will evolve by category, by inbound country and by outbound country up to 2021.